If you have found these notes you are taking more than a casual look at a recumbent. A few months ago I was doing the same; these notes are my observations & comments after a few weeks acclimatising with a new recumbent. Why I was looking …. I was getting wrist pain and body discomfort on a normal bike; I also think the best European recumbent bikes are now quite mature as a technology and affordable (at least when compared with high quality road or touring bikes). Some salient facts … my height is 1.69m, X-height 38”; I live in the countryside in Devon. I was also concerned about safety … I googled it a lot …. so far my experiences on country roads (big and small, bright jacket but no flag) seem to reflect the anecdotal evidence from other recumbent riders that the traffic notices you more and gives you a wide berth (even more if you wobble a bit!). If you have found Dave McCraw’s website you will have found Laid Back Bikes (LB). Although a long way from home I used Laid Back Bikes specifically as LB provides a bespoke service that I think is important if you are to make an informed choice and to get the specification / bike set-up correct. 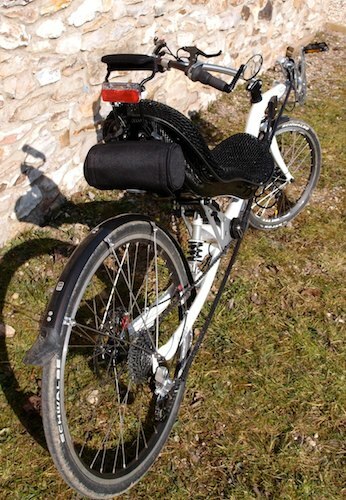 LB’s experience with recumbents, your specific fit aspects, the details thereof and the time willingly spent with customers to get it just right is rare nowadays. 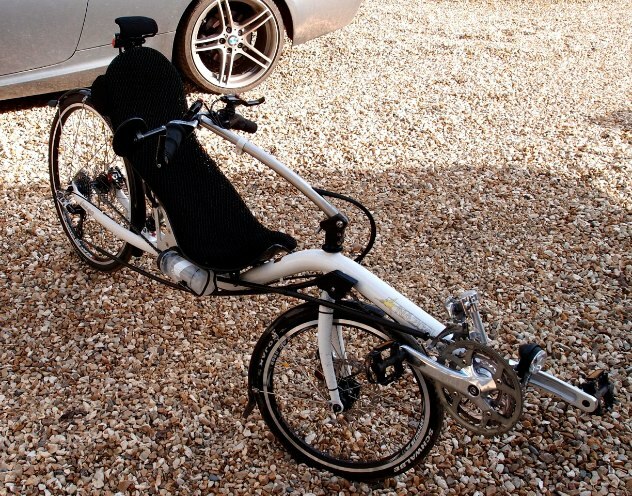 In looking for a recumbent I learnt about fit & position on bikes; it seems that with diamond frame bikes fit is most likely to be always a best compromise. The frame geometry and typical crank lengths mean a degree of ill fit and thus body stress, especially the knees. 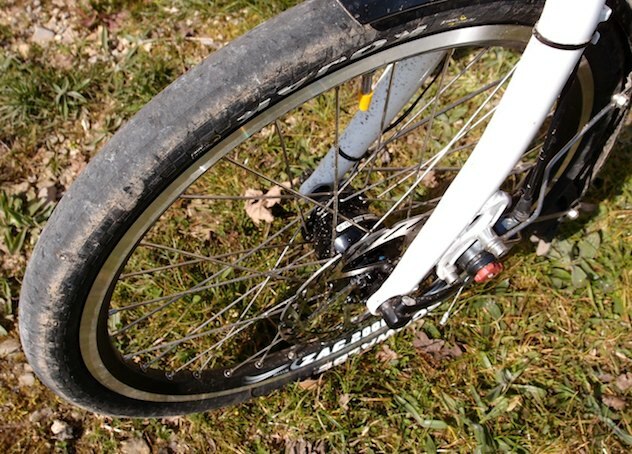 It is surprising how few riders know much about proper fit and crank length. 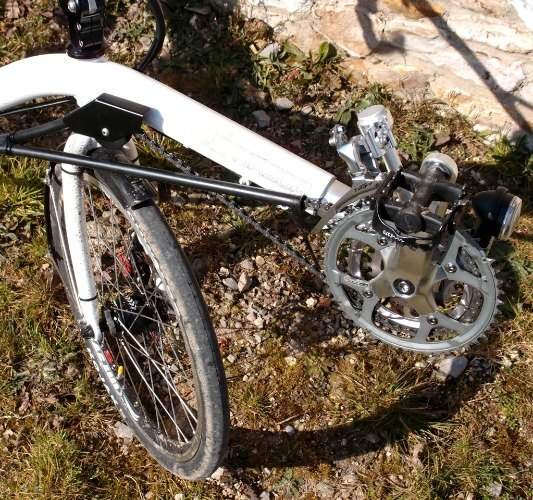 With a bespoke recumbent, boom adjustment and careful choice of cranks one can overcome these issues and indeed so far in use, now that I am in control and have relaxed, there is an absence of aches after a ride. Indeed my body feels quite refreshed after a ride and my knees if anything feel happier & stronger. I just need to build up my recumbent muscles; up hill is slower at the moment, but downhills are quite exhilarating although I really recommend using cycling glasses. I needed a bike that was not too high; this meant something like a Challenge Furai or a Nazca Fuego. I opted for the Fuego after reading many reviews (flexiblity, handling, quality, availability, LB’s opinion etc) and a test drive (it felt good). There is a lot of debate & opinions about recumbent bike weight on the web; I concluded that a fair comparison was with a touring bike or MTB with some suspension, not a bare road racer. My Fuego weighs in at 16 kg (without tool bag) or about 15.5kg if you remove kickstand & mudguards; I will also change to my lighter SPD pedals once I am ready. I think this weight compares quite well with a Furai (or similar suspension recumbent), a handmade touring bike or a good mountain bike with part suspension. The weight figures also concur with the weight figures given by John Mills in his Readers’ Bikes entry. Learning to ride …. again! Learning to ride second time around makes you think; I realised that diamond frame bikes are ridden in at least two distinct ways …. 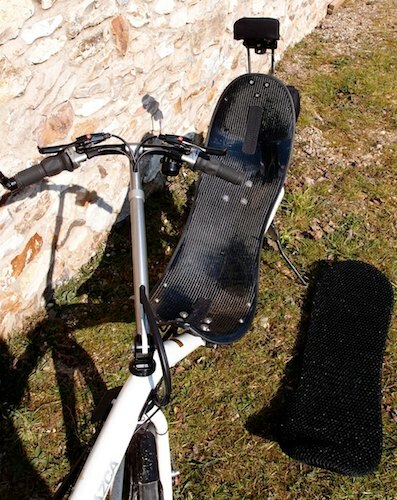 you typically stand for greater control at slow speeds … the same is true on a recumbent albeit with some differences (obviously you cannot stand!). 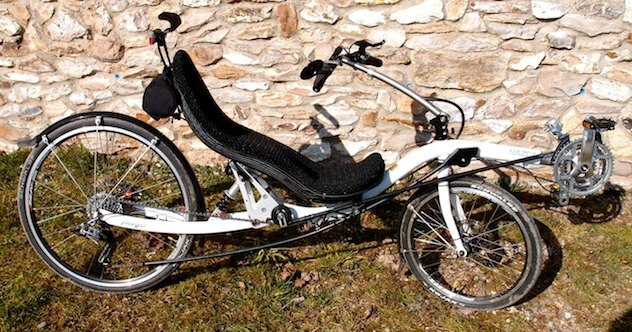 However a recumbent is more sensitive / subtle; lean and steering movement is less pronounced. 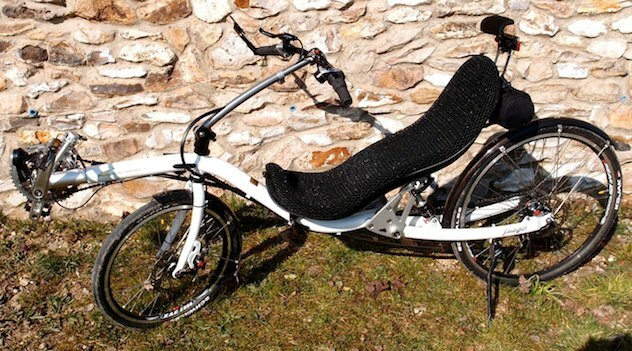 So how have I got with learning to ride a recumbent? My thanks to Richard for an extremely comprehensive set of thoughts! Who cares about fuel strikes?